By Rachel Held Evans, on April 28, 2013. I had a lovely time hanging out with the good people of Fairfax Community Church at The Blue Conference this weekend, including Kyle and Loretta Cooper who hosted a meal at their home. Before that, I was in Ft. Smith Arkansas, where I had the pleasure of experiencing 1) the incredibly gracious congregation of First Presbyterian Church, Ft. Smith, which included several 80+year-old-ladies who expressed interest in marrying Dan should I be open to a sister wife, 2) the famous, award-winning restrooms at the Ft. Smith airport (for real; they are ranked among the Top 10 Airport Bathrooms in the U.S.), 3) amazing conversation with a group women at Miss Anne’s Pie Place. On Tuesday, I’ll be speaking at Seattle Pacific University at 9:30 a.m. Let me know if you will be there! 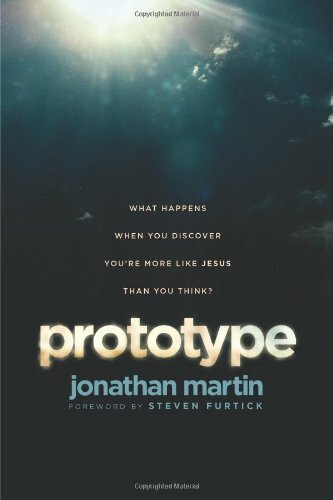 Prototype: What Happens When You Discover You're More Like Jesus Than You Think? I LOVED this book! Look for a review soon. “God is pissed off and so am I”: Pastor Phil Jackson on Gun Violence"